Is the FBI underreporting hate crimes? The FBI’s recent 2017 hate crimes statistics report has revealed a 17 percent increase in incidents since 2016. In 2017, there were 8,493 victims and 6,307 known offenders. By comparison, there were 7,509 victims and 5,727 known offenders in 2016, according to the data. The report contrasts with the prior year’s which reported 6,036 single-bias incidents, or occurrences where the perpetrator has one bias against a community or group. By comparison, in 2017, there were 7,106 single-bias incidents reported. Of 34 reportable bias motivation categories, all but five reported an increase in 2017. With 2,013 incidents reported, “Anti-Black or African American” bias accounted for nearly half of all crimes motivated by race or ethnicity, which rose 18 percent according to the FBI data. “Anti-American Indian or Alaska Native,” “Anti-Multiple Races, Group,” and “Anti-Hispanic or Latino” hate crimes all increased over 20 percent (251, 180, and 427 incidents, respectively). “Anti-Arab” hate crime, which was reintroduced into the data collections in 2015 after the category became “invalid” in 1996 and was eliminated in 2001, increased 100 percent last year, with 102 incidents reported. As for crimes motivated by religion, which increased 23 percent in 2017, “Anti-Jewish” hate crime surged 37 percent, representing a majority with 938 incidents reported. 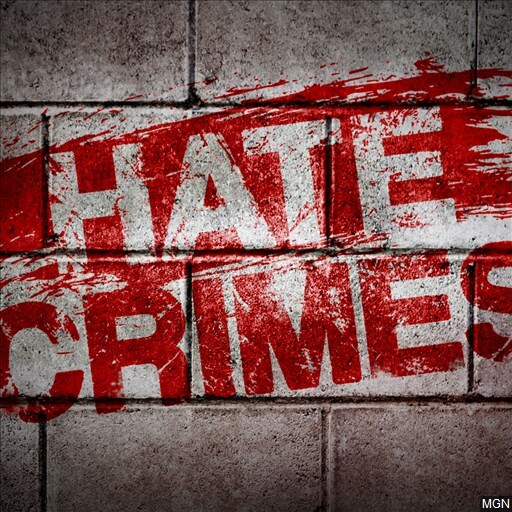 After increasing 67 percent in 2015 and 19 percent in 2016, “Anti-Islamic (Muslim)” hate crime decreased in 2017, but remained well above historical averages with 273 incidents reported. However, the AAI is skeptical of the FBI statistics and say underreporting remains a significant problem in its annual survey. In a statement, the organization expressed concern and disappointment with the release of the 2017 hate crime statistics. While an increase was reported in the federal data, it was less significant than expected, the organization noted, claiming that the data contained some glaring omissions. “The reported increase in the FBI’s hate crime statistics warrants concern, as do the discrepancies between state and federal hate crime data, the omission of several high-profile hate crime incidents, and the limited rate of hate crime reporting in some major jurisdictions,” said AAI officials. Analysis from AAI shows that in multiple states, official state-level data reported a greater number of incidents than what is reported in the FBI’s statistics. Crimes motivated by disability, gender, and gender identity, which are more recent additions to the data collections and generally produce smaller annual totals, were significantly affected by these discrepancies. According to FBI statistics, the city of Olathe, Kansas, reported no hate crimes, and statewide, zero hate crime murders were reported in 2017. But, on February 22, Srinivas Kuchibhotla was shot to death in an Olathe bar because of his perceived national origin, according to the AAI. The shooter, Adam Purinton, who also wounded Kuchibhotla’s friend Alok Madasani and another man named Ian Grillot, was convicted on federal hate crime charges. Similarly, neither the May 26 fatal stabbing of Ricky John Best and Taliesin Myrddin Namkai-Meche aboard a train in Portland, Oregon, nor the August 12 killing of Heather Heyer in Charlottesville, Virginia, are reflected in the federal data. And, while career officials at the Department of Justice continue to demonstrate a commitment to serving communities and preventing hate crime, AAI remains dissatisfied with the administration’s response. “While we remain grateful to the career professionals at the DOJ, it is clear the Trump Administration has largely abdicated from the stated federal interest of eradicating bias-motivated violence, and the president’s rhetoric has at times appeared to exacerbate its spread,” said Berry. When the vehicle of Minnesota’s first and only African-American head lacrosse coach was vandalized with the n-word written on the windows, the local police did not investigate. Do local police have to participate in order for cases to be forwarded to the FBI? If so, as in this case, there are undoubtedly more cases not even reported to the FBI for them to investigate.